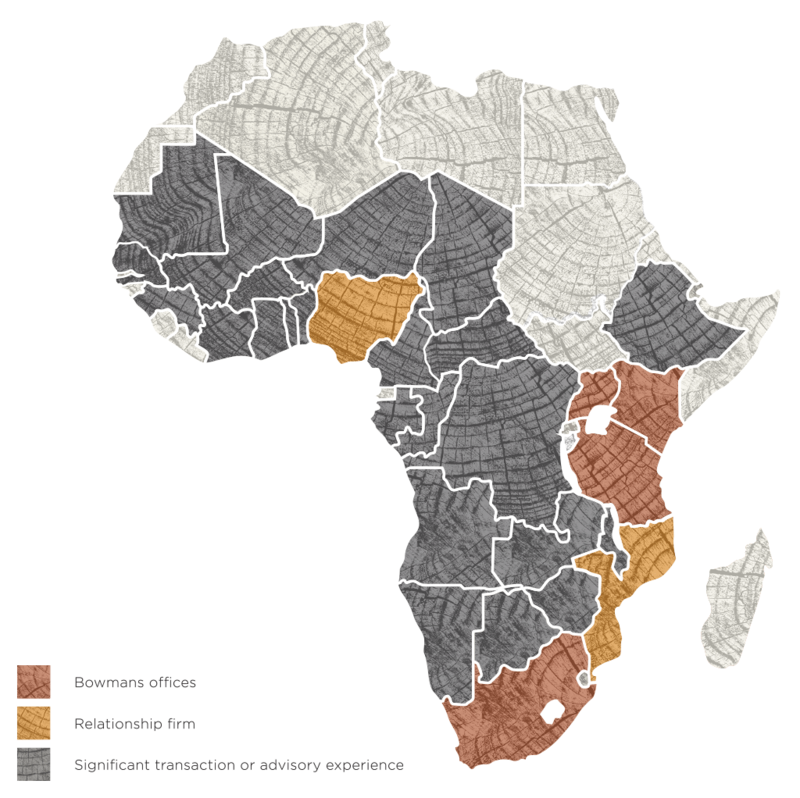 We provide integrated legal services throughout Africa from six offices (Cape Town, Dar es Salaam, Durban, Johannesburg, Kampala and Nairobi) in four countries (Kenya, South Africa, Tanzania and Uganda). We work closely with leading Nigerian firm, Udo Udoma & Belo-Osagie, and Mozambique-based boutique firm, Taciana Peão Lopes & Advogados Associados. We also have strong relationships with other leading law firms across the rest of Africa. We are representatives of Lex Mundi, a global association with more than 160 independent law firms in all the major centres across the globe. This association gives us access to the best firms in each jurisdiction represented.